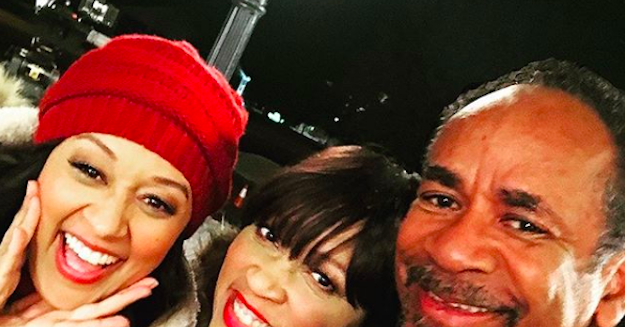 Although they weren’t on set as the Campbells, Tia, Jackée, and Tim ARE in a new project together. They’re working on a new film called Family and Faith. It only took 18 years, but what great fun to once again work with Jackee and Tia. Missing Tamera. Shooting in Salt Lake City, and the film is called, Family and Faith. The thing that I can tell you is we’re trying everything that we can possibly do to make everybody happy and the fans happy. The thing is there’s no new news that I can report to you, but it’s not dead. There’s a hurdle that we have to jump. There’s only one other hurdle and once we jump this hurdle, it’s on and cracking. We just have to wait until that kind of fleshes itself out. We have the writers. We have everything. Everything is in place, so we’re going to be taking meetings in the next few months, so we’ll see.